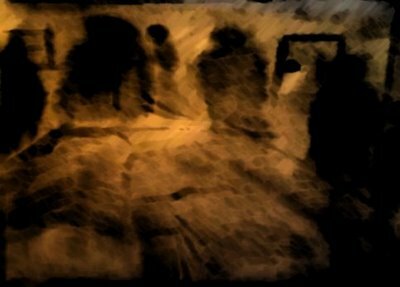 Avebury Circle,Shadow People and Sleep Paralysis. – The Art of Affecting Consciousness. Avebury Circle,Shadow People and Sleep Paralysis. I think the year was 1997, give or take, I had some time off work, some spare money and fancied a little adventure. So quite on impulse I decided to go and visit Stonehenge and Avebury Circle in Wiltshire,England. It was only a few hours away so I packed a bag and got on a train. I visited Stonehenge and thought it was nice to see up close, although nothing more than that really, so off I headed for Avebury Circle just a bus ride away. I’d recently watched Richard Hoaglands briefing to the United Nations on “The Monuments of Mars” and Avebury Circle came up in that presentation. I felt drawn to the place as cliché as that sounds. So I made my way to the Circle in Avebury and looked at all the stones and just took in the beauty of the area. It’s an amazing place and certainly more atmospheric than Stonehenge. Whilst I was there I popped into a little antique shop that was within the Circle. I had a fascinating chat with an older man who runs the shop. He told me about the time he discovered the “spider web” crop circle in the field near his shop when he walked his dog early one morning. Avebury stone circle being as large as it is, is the only stone circle in the world where you can actually spend the night inside, in a comfortable bed at least and in a pub too, The Red Lion. Sounded perfect. I went into the Pub and asked if they had a room for the night, but alas there was no room at the Inn. They said there was a place about a mile down the road where I might get a room, so I went on my way and fortunately got a room there instead. After some food I went up to my room. It was getting dark by now and I remember looking out of the window of my room and I had the weirdest feeling, one that I’ve never had quite so strongly since. It felt like something was definitely out there. I really can’t be more specific than that,but it was a strong feeling. It was dark and windy and it didn’t look like anything was out there. It really did feel like it though. I went to sleep after hearing some very strange sounds on the roof, but it was windy, nothing to worry about I told myself and went to sleep. The next thing I remember, let the weirdness commence, I awoke. Paralysed. I opened my eyes, that was all I could move and looked at the wall nearest the end of the bed, about 10 feet away. There wasn’t a lot else I could do. My eyes were drawn to one tiny point on the wall and out of that came what I can only describe as shadow beings. They didn’t just come through the wall though, they SPIRALLED out of this pin-point on the wall, until they had all flown into positions around my bed. It was beautifully done actually. I was still paralysed and could see about 5 or 6 of them, standing around the bed, their attention on me. A smaller being,much smaller than the others, came straight up to the left side of my face and looked so closely at me, just inches from my face. I had an unmistakable feeling that this was a little girl, just curiously but intently looking at me, so close. I was still paralysed and couldn’t turn to look properly at her. I could see all the others though clearly enough, albeit only in shadow form. The others were of varying “adult” sizes and they seemed quite slender, but made entirely of shadow. I didn’t feel terror like some do when having this kind of experience. I do remember feeling frustrated at being paralysed though but amazed at what I was seeing but also wondering what was going on and what was going to happen next. At some point after this, the experience ended for me on a conscious level at least and I assume I went back to sleep. I’m fully prepared to accept it was sleep paralysis and that part of my mind became conscious, whilst my body remained asleep, and that I simply projected a dream into my conscious field of vision. That said, I don’t ever remember having a dream like that, and I think it would be foolish to ignore the location. An ancient civilisation obviously thought this area around Avebury and Stonehenge important enough and this is where I had my experience. Also the last time I saw a shadow being at the bottom of the bed, my girlfriend also saw the same being, the same night. When your mind becomes conscious and your body is still asleep, I assume my brain waves aren’t in an alert, normal waking state (i.e a beta waves..above 13Hz) but closer to a dream state or that state just before you go to sleep, a Theta or Hypnogogic state (i.e 8Hz and below). So could it be that beings are all around us and that they’re only visible when your brian waves are at this slower level. I don’t know that this is true, I just don’t think that the phrase “Oh its just sleep paralysis” is a conclusion. In this reality we can all see each other because photons of light bounce off us and into the eyes of the viewer. But what if there are lifeforms that light doesn’t bounce off? If there’s dark matter, could there be dark biology, and if there’s dark biology, could there be dark homo-sapiens or something similar? (I stole that line from someone.) Or if beings existed that were a colour our eyes couldn’t detect, would our minds just fill in the blank as darkness? Or are they beings that exist in my unconscious mind expressed outwardly? What if I went for a session of hypnotic regression back to that night, what crazy story would come out? Sleep paralysis is sounding more and more appealing the more I think about it. I do regret not talking to the owners the following morning just to see if anything like that had happened previously. 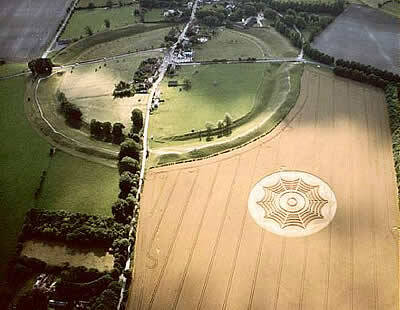 I will however be staying another night at Avebury Circle this Summer Solstice and I wont be going alone this time. Woah!!! Amazing experience! And excellent questions, I’m loving how your mind works and connects stuff!!! I was sleeping in my own apartment, when I had a similar experience. My place is near a cemetery in Georgia(usa) and a civil war battlefield, but other than that, I haven’t had many paranormal stuff happen here. It’s just one morning, I woke up paralyzed in my bed, and sensed a tall, masculine, shadow person open my door. He walked into my room and around my bed… where he stopped at the side of the bed that I was laying on and stared down at me. He then moved quickly and bent his face down really close to my face. Eeek! My heart was pounding out of my chest, but I tried to control my fear and mentally calmed myself down. It helped, and eventually I was left with just a curiosity instead of fear. I must have lost consciousness at that point, because that’s the last I remember, till I woke up again later. It was highly creepy… but nothing too horrible I guess. Thanks Rebekah. How weird that this is such a common occurence.